To enable students to enjoy learning for its own sake, to develop their creative talents and to fulfil their intellectual potential. To provide individuals with the skills and knowledge to respond to a changing world with confidence and humility. To encourage each person to be reflective, open-minded and principled, so that they can make a positive contribution to their community and the wider world. Striving to achieve the best in all that we do, valuing the acquisition of knowledge and enjoying learning for the intellectual challenge. Doing the right thing, respect for oneself, others and the environment, utilising knowledge and understanding wisely. TBGS students are principled and support each other in the quest for excellence. A dynamic sense of purpose, dedicated to working with and for others. Throughout the curriculum and in the broader life of the school, Torquay Boys’ Grammar School actively promotes the fundamental British values of democracy, the rule of law, individual liberty and mutual respect and tolerance of those with different faiths and beliefs. Our aim is for our students to develop and demonstrate skills and attitudes that will allow them to participate fully in and contribute positively to life in modern Britain. 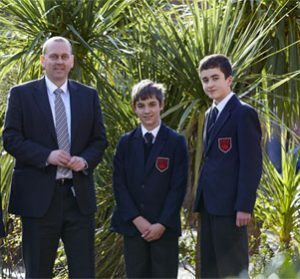 Torquay Boys’ Grammar School is an Outstanding Academy – a free, independent state school. Strategically this status accords the Governors unique responsibilities. The quasi-autonomous nature of Academy status enables the Governors and staff to develop the school from the perspective of curriculum, personnel, land and buildings, and finance.